The exciting thing about the independent comic boom of the 1980s is that pretty much anybody with 32 pages of content and a line of credit at a printer could be a comic book publisher, right up there with Stan Lee and Jenette Khan and the Goldwaters over at Archie. Alternatively, the depressing thing about the independent comic boom of the 80s is, again, pretty much anybody could be a comic book publisher, which led to comic shops being flooded with subliterate, non-returnable junk, which then inevitably led to the independent comic bust of the late 1980s. 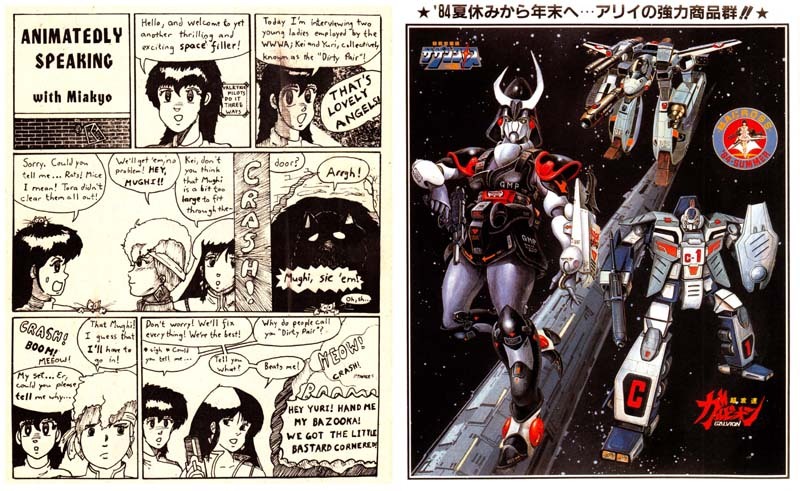 Of course, for our purposes the 80s meant Robotech and a big new wave of anime fans bursting forth in an explosion of fan activity. The networks of clubs, newsletters and fanzines, of murky comic con video rooms and disreputable comic con dealers, of standing around the comic shop waiting for the next issue of Robotech Masters and for something called "Viz" to release something called "Area 88" - all this interest congealed in a few professional, comic-shop distributed publications devoted to Japanese animation. 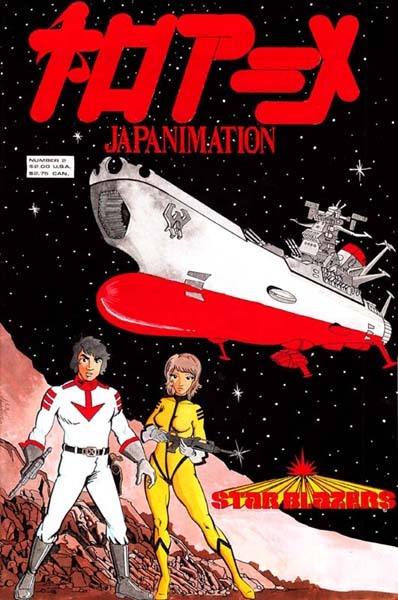 Protoculture Addicts, Animag, and Anime-Zine all vied for the late 1980s reader, but today we look at a singular example of the genre, simply titled "Japanimation". This portmanteau, once the hip, with-it term used by those "in the know"when describing Japanese animation, may very well have been coined by superfan and Desslok cosplayer Rob Fenelon, but its time in the sun was cut mercifully short; fandom soon settled on the sportier soubriquet "anime" and “Japanimation” was left as a newbie shibboleth. 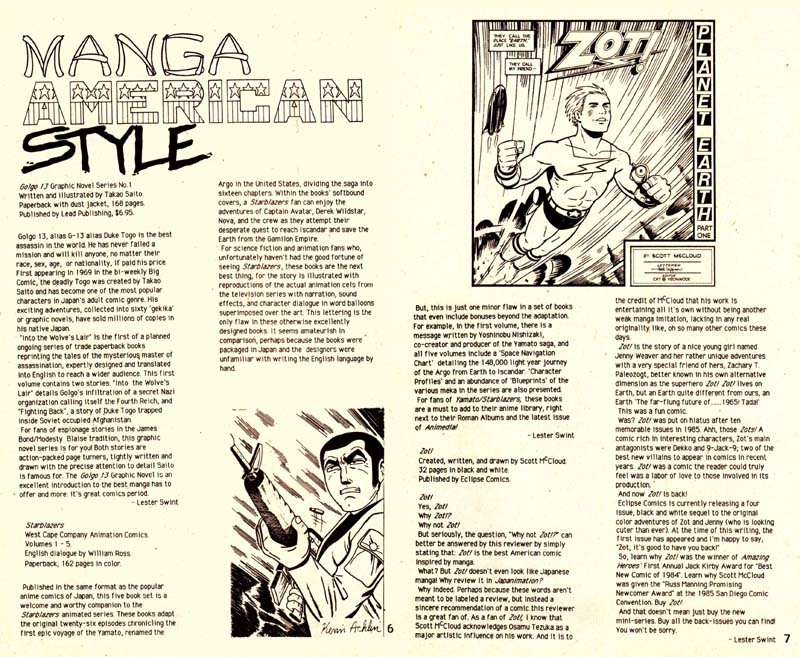 From Detroit's Eclectic Press and edited by future independent filmmaker Joseph Doughrity, "Japanimation" is right out of a 1987 time capsule. There's the charmingly confusing katakana in the title, some muscular off-model Yamato fan art, and ads for Ninja High School and Comico’s Robotech comics. Setting type with a dot-matrix printer? Why not, it’s the 80s. 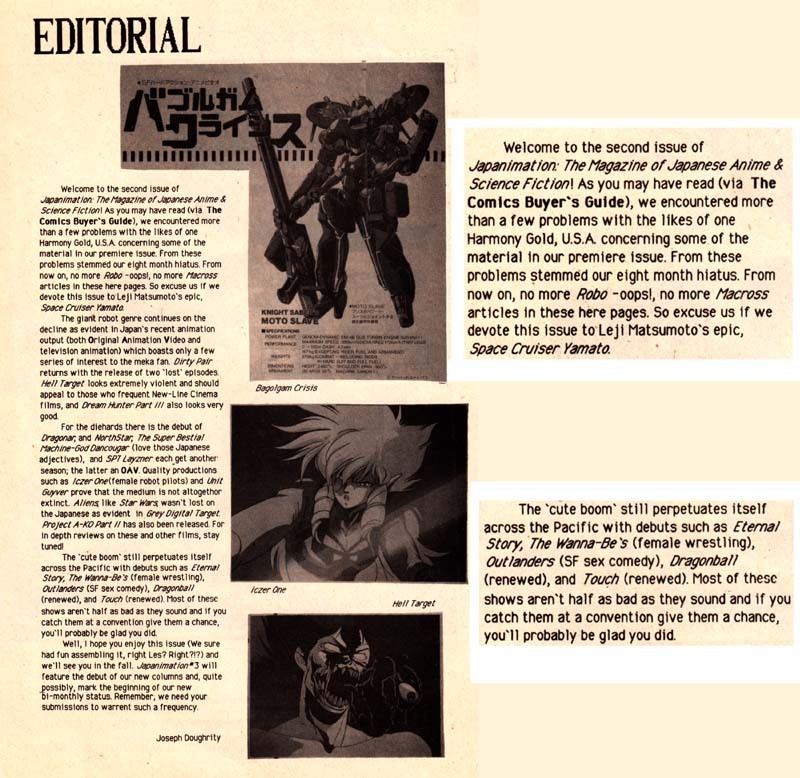 Robotech producer Harmony Gold’s litigious reputation shines brightly here in "Japanimation"'s editorial page, which explains how their previous issue's Robotech coverage offended HG's tender sensibilities. 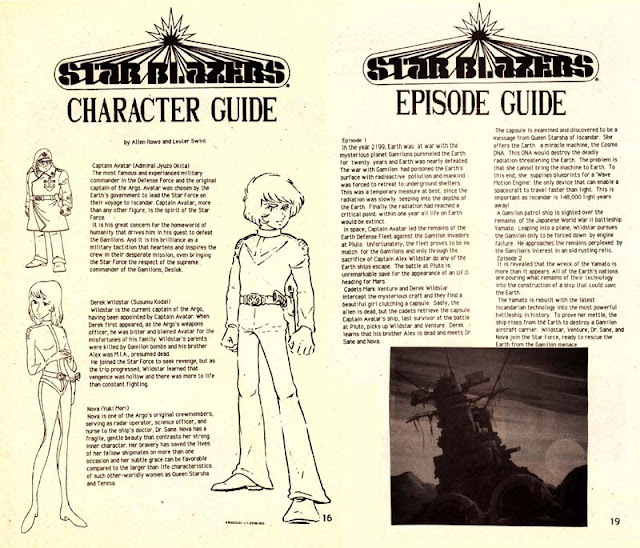 Hence this issue's focus on Star Blazers, a latchkey kid of a property its American corporate masters barely remembered they owned, let alone cared about. Readers will also be happy to learn that "the cute boom" of Outlanders, Wanna-Bes, and something called "Dragonball" was then currently detonating over Japan. Better catch it while you can! Who knows how long a show like Dragonball will last? 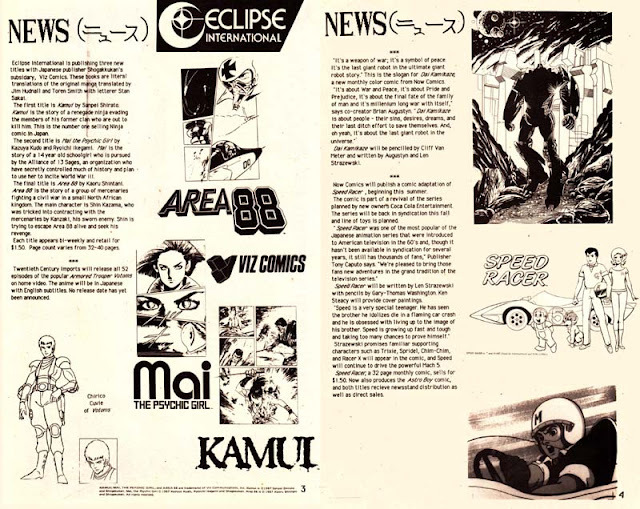 "Japanimation" keeps us up to date on the latest news gleaned from other, more professional periodicals - Viz Comics will be publishing Area 88 and Mai The Psychic Girl, while Now Comics has the Speed Racer license and also hedges their Japanese cartoon bets with the home-grown "Dai Kamikaze", a really terrible all-American take on the giant robot. 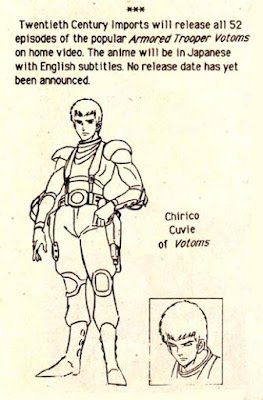 "Japanimation" fans will be pleased to learn also that hobby kit importer Twentieth Century Imports will be releasing all of Votoms on VHS tape in the United States, news courtesy the Somebody Making Stuff Up News Network. This combination of press releases and wishful thinking was emblematic of anime-club newsletter writing of the period. Meanwhile, Manga American Style delivers up to the minute reviews of the stuff on the racks down at Bob's Elf Dungeon & Comics World that the owner only carries because you and your two weird pals constantly bug him about it. 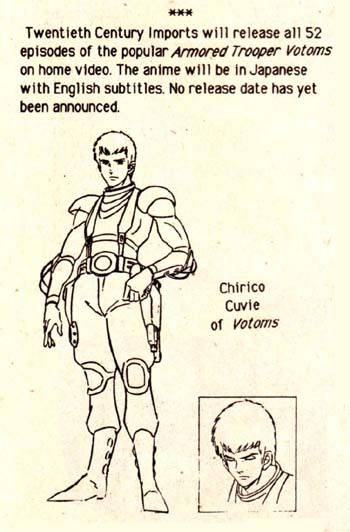 Is this perhaps the earliest American Golgo 13 fan art? 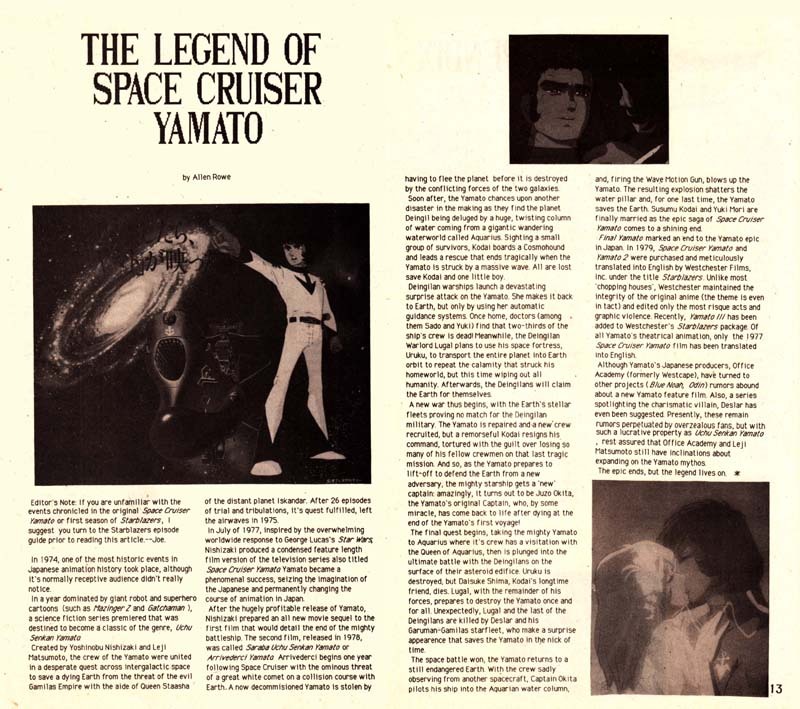 But now it's on to the meat of "Japanimation" - their feature story on Space Cruiser Yamato, the Japanese SF anime hit that was yesterday's news in Japan but still garnering fan interest in America courtesy syndicated Star Blazers reruns. Four pages synopsizing Yamato’s voyages may seem a bit much, but remember, many American fans might not even know half these Yamato adventures existed. In 1987, seeing Yamato films on home video in the States meant quasi-legally swapping fuzzy VHS tapes with strangers. Who’s got time for that? 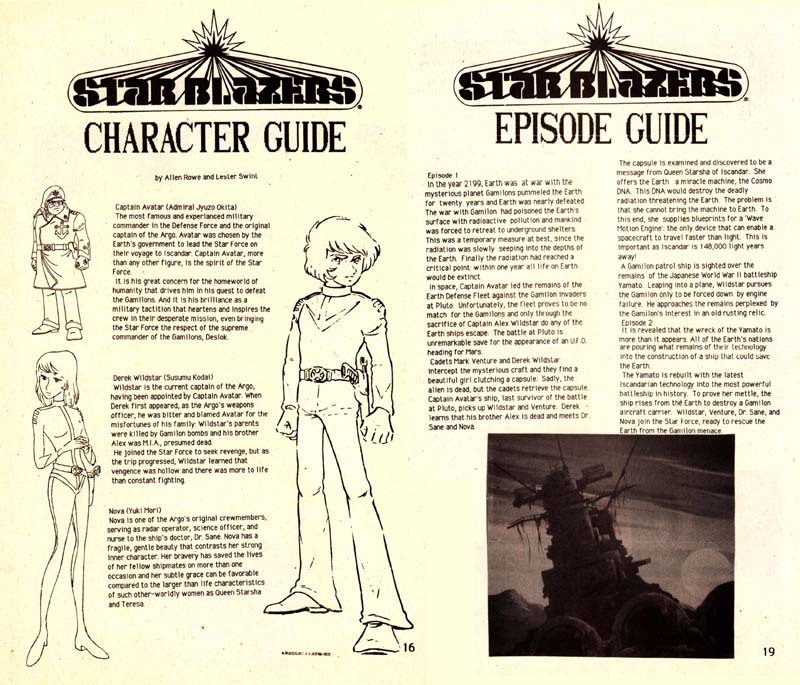 If necessary, the enterprising anime magazine editor can also fill eight or nine pages with a Yamato character guide and a complete synopsis of every episode of the first Star Blazers series, simultaneously padding out their magazine and saving the Earth! 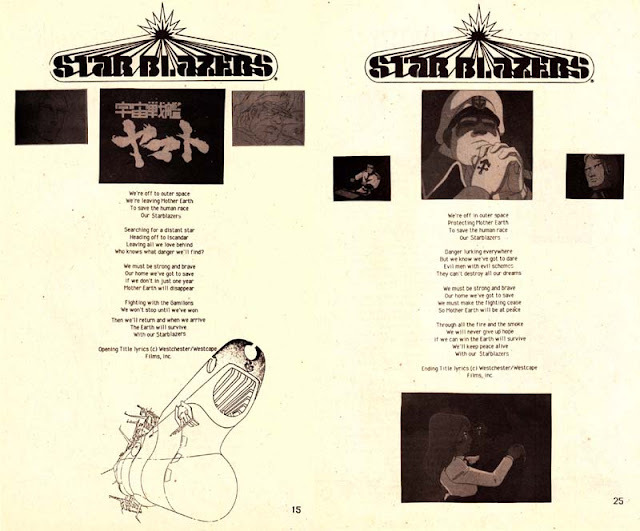 And if you still have two pages to kill, why not just print out the lyrics to the Star Blazers theme song? Why not indeed? Actually there are many, many good reasons as to why not. But let’s move on. 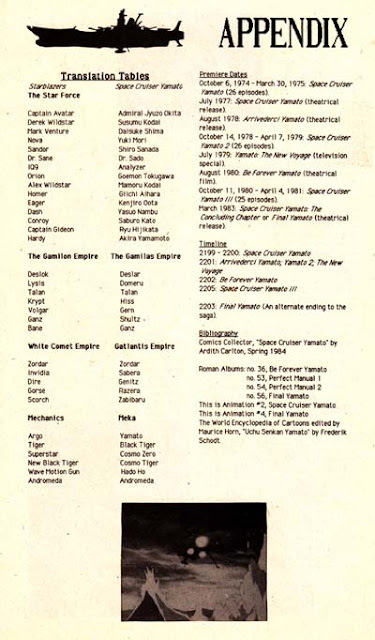 When you're all done be sure to list your sources - meaning, the Roman Albums you photocopied artwork from, and the Ardith Carlton and Fred Schodt articles that were the only available English-language resources at the time, unless you’re counting fan art of Derek Wildstar fighting Bruce Lee or the Star Blazers cast drawn as horses. Rounding out this issue of "Japanimation" is a humorous fan cartoon from an uncredited Paul Sudlow (okay, he’s credited on the title page, just not here) and what would have been a fine advertisement for model kit outfit TCI, if "Japanimation" had remembered to actually place TCI's name on their ad. Oops. Anyway, it makes a great back cover illustration, and probably inspired years worth of conjecture among readers as to what exactly a "Galvion" was.